If you are about to create a new website, and you are finding it hard to get started with it, then it is time for you to straighten up few things. Whenever you are developing a new website, you will have to focus on few basic things that will assist you to create an amazing website. If you are not sure how you can develop a proper website, then you must check the details and focus on the design of your website. If you are a developer, then you will have to take care of a lot of things including the responsiveness of the website. However, the first thing that you need to keep in mind is the clean and functional design of the website. If you are not designing a website, and you have hired a web designer, then make sure that you are getting the design with which you can work. There are plenty of things to consider when you are building a new website. You must develop your new website step by step so you do not end up missing an important point. 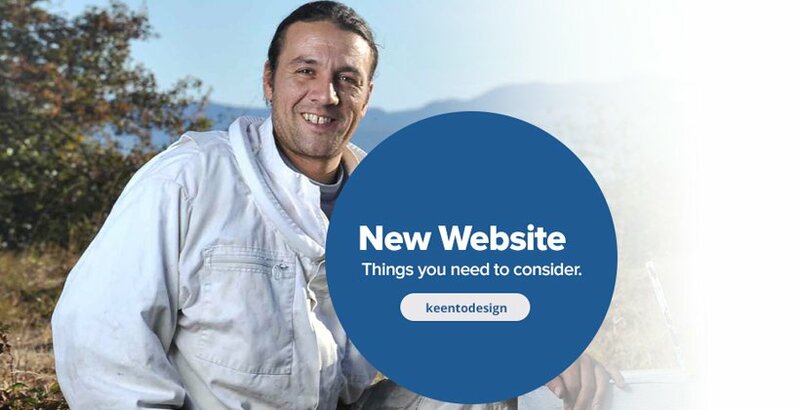 Let’s have a better look at the 10 things that you need to consider when developing a new website. Before you go on to start developing your new website, you must pay attention to few basic things. First of all, you will have to select the perfect domain name for your website. If you are creating a business website, then you must pay attention to the domain name of the site. It will be better for you if you are selecting a domain name that matches your brand name. In this way, you will be able to market your brand name properly. After the selection of the domain name, you should also select the perfect hosting platform for your new website. You can compare multiple hosting options to choose the right one. Another important factor to keep in mind is the selection of the right content management system. Most of the webmasters are using WordPress as a CMS, and it is without any doubt the best option for you. Whether you are creating a simple blog, online store or a business website, WordPress will take care of all of your requirements. Moreover, you should always select the CMS that you are used to. If you have worked with WordPress, then you should consider using WordPress for your new website. Before starting the developing phase, you should choose the perfect design for your website. Your website design should be functional, clean, and responsive. If you are developing a website in WordPress, then you can always check out the WordPress themes that will help you in the process. If you have hired a designer for creating a perfect design, then make sure that the design is functional and will provide you the benefits that you need. You can make tweaks to the design and improve it by making small changes that suit your basic requirements. Another essential thing that you need to keep in mind is the functionality of the website. Make sure that you are integrating all the useful tools that will help you improve the functionality of your website. If you want to have a functional website, then you should always pay close attention to the sections that you are designing. Moreover, if you are using WordPress, then it will become easier for you to improve the functionality of your website. When you are writing code, you will have to be sure that your website code is clean and SEO friendly. You should know that the website code will play an essential role in determining the speed of your website. If you want to have improved speed, then you must pay attention to the code. Make sure that your site has a clean and SEO friendly code so you can enhance your search engine ranking as well. When you are developing your website, you will have to take care of the browser compatibility. Make sure that you are not ignoring the browser compatibility. Whenever you are developing a new website, you will have to be sure that you are checking the cross-browser compatibility. You do not want your new site to carry bugs, and you do not wish to have your website that only runs on the single browser. Another thing which is one of the most important things is the navigation of the website that you are building. Make sure that your site has an easy to use interface, so the visitors do not have to face many issues. Make sure that you are always focusing on the navigation of the site when you are creating a new website for your upcoming business. When you are creating a new website, you should always focus on the blog that you are creating. You must know about the importance of the beautiful blog. If your new website has a blog, then it will help you to connect with your audience, and it will allow you to capture the potential market as well. When you are creating a new website, you will have to focus on creating a perfect design. However, it can difficult to create something which is perfect. All you have to do is to take care of the color scheme of your website. Make sure that you have an attractive color scheme for your site. Moreover, it should match with your overall theme and logo design. After the creation of a new website, you will have to run multiple tests so you can check the performance of the site you have. If you are running various tests on your website to check the performance, then it will allow you to take care of all the glitches, and you will be able to improve the user experience.